I used this years back and it was ok. Now its not so good. Like allot of modern browers, you get these tiny icons on toolbars which you can't change. No cookie management is avail. Main options are hidden. Pretty large download for what you get. For some reason Avant has gone from awesome to basically painful to use. I'm using the Lite version with IE11 engine. Stable and non crashing are the last qualities I would give it. I've always given it a rating of 5 but this time it will be a 1. This browser is vastly underrated. It will take me a while to get use to it, but it's well worth the effort. It's the fastest browser I've used. I'm been using this browser for a while now, and I'm even more convinced this Avant Browser really is at the top of any other one. It has everything's on it, IE, Chrome and Firefox engines and it also allows you to browse multiple Web sites simultaneously; just amazing. It is the first browser which allows to be personalized as per your needs. I recommend Avant Browser; try it and you will see the difference. 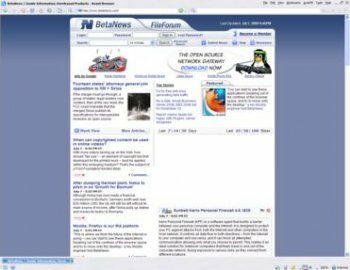 Beta 105 - Still has the exact same problems as before. Still won't go into split-screen mode under Windows 7 (64-bit). But, yet it will briefly flash a split screen mode at start up, for no reason at all. Not using this program until they managed to get this problem fixed. 2013 build 21 is much stable now compared with the earlier versions of 2013. But I don't quite like the new interface. Old skins are more useful for me. I like show all kind of buttons on the toolbar which is easier to use. Beta 21 - Still has the exact same outstanding issues as before. Browser flashes a split view screen at start up unnecessarily (for no reason at all) and then when you go to actually open a split screen view by selecting that option from the menu, it will flash the split screen for a second and then goes right back to a single screen view. At least the new version loads faster with the new rendering engines in this build. That's at least some progress, I guess.